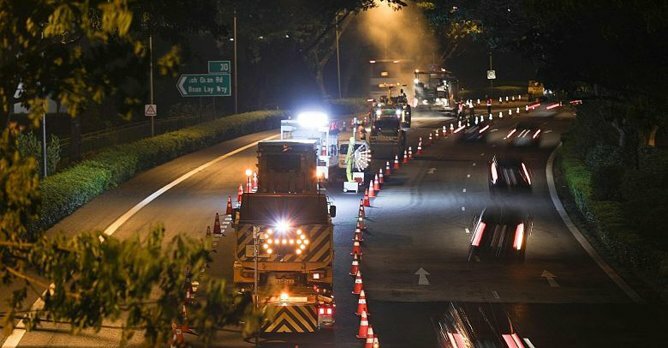 Resurfacing is being carried out on the Ayer Rajah, Central, Pan-Island (PIE) and Seletar expressways, the East Coast Parkway as well as tunnels in the Central and Kallang-Paya Lebar expressways. The project is part of routine maintenance of public roads, the LTA told The Straits Times, adding that the resurfacing is being carried out from midnight to 4:30am to minimise traffic disruption. One motorist supports the project but feels it does not go far enough. Engineer Shreejit Changaroth told ST, "Road resurfacing is a periodic necessity, so I think it's money well spent. But why only expressways? "The real surface deterioration is on the arterial roads. Currently, some badly repaired parts really test the cars' suspensions and in other areas, water-ponding occurs during heavy rain. These can be quite a hazard. Also, worn-out surfaces can get slippery in the rain," he added. Company Director Norman Lim, 54, said, "I recently drove about 2,000km in Spain. It seems to have much better roads than us. Cruising at 140km/h most of the time between places, and not a bump in sight." The LTA also noted yesterday that an $87.6 million, seven-year project to improve the Expressway Monitoring and Advisory System (Emas) was completed in February. The Emas, which started in 1998, helps detect and manage incidents on expressways, including accidents and vehicle breakdowns. It also informs motorists of estimated travel times on various expressways so that they can avoid heavy congestion. "Enhancements to the Emas along eight expressways were made, which included replacing the old signboards with larger electronic signboards for clearer display and graphical representation of traffic information," the authority said. 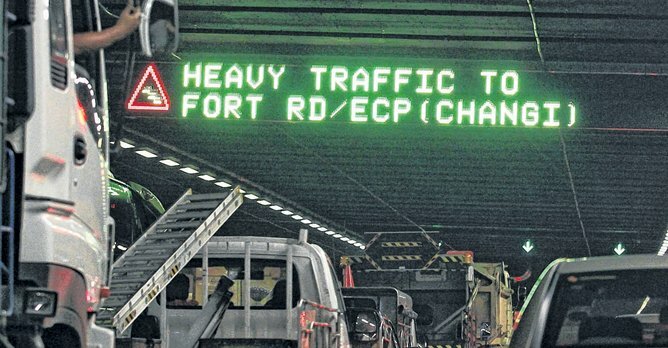 "Travel time displays at entrances of and along the expressways have also been colour-coded to inform motorists of the traffic conditions ahead. Some variable message signs have also been enhanced to list the travelling time of alternative routes," the authority added. The upgrade - the first major one in two decades - included adding Web cameras to support live video updates on the One.Motoring or MyTransport mobile applications. 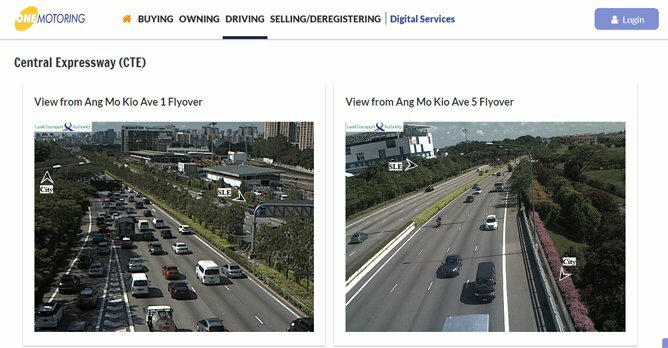 Elsewhere, a further $71.9 million is being spent to upgrade i-Transport, a platform that employs artificial intelligence to centralise the monitoring, control and operation of the various existing Intelligent Transport Systems such as the Emas, Junction Electronic Eyes (J-Eyes) and traffic lights. "With i-transport 2.0, LTA will be able to make use of real-time traffic data and historical trends to detect and respond to road incidents more quickly, and more effectively manage traffic operations," the authority noted. It added that road users will also be able to make better informed travel decisions based on real-time information disseminated via message signs, radio broadcast and online portals such as the OneMotoring.sg and MyTransport apps.